If you are intent on keeping data protected you may be interested in a new encrypted micro SSD unveiled by DataLocker this week in the form of the Sentry K300 Encrypted Micro SSD. 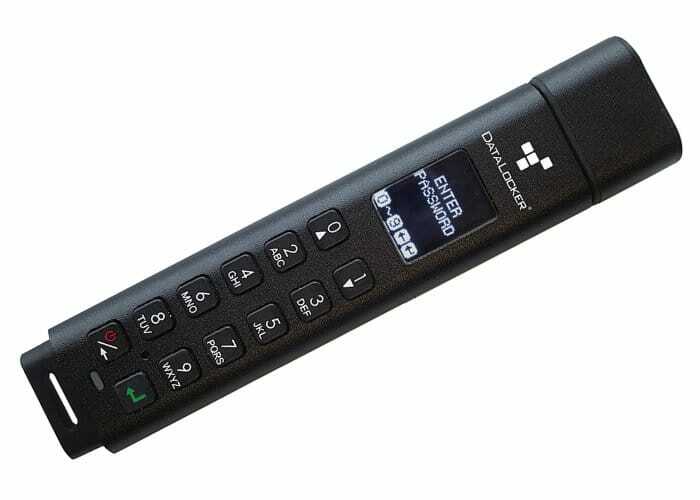 The DataLocker Sentry K300 Has been designed to offer users affordable military-grade security with 256-bit AES hardware-based encryption in XTS mode. The device is capable of providing always on protection for your data documents unlike software-based encryption, the Sentry K300 cryptochip does not export encryption keys to the host PC, thereby protecting against cold-boot and malware attacks, says DataLocker. For more details jump over to the official Sentry K300 SSD product page by following the link below where the product will be officially launched sometime before the end of 2018. As soon as we hear any more about availability and pricing we will keep you up-to-date as always.